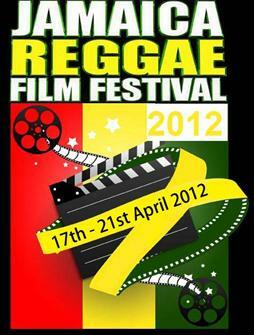 The Jamaica Film Academy announces that the 2012 Jamaica REGGAE FILM FESTIVAL it organizes annually, will be held April 17-21, 2012 in Kingston, Jamaica. In a preview event, the Jamaica Film Academy will host a screening of the “BEST OF THE REGGAE FILM FESTIVAL 2011” feature, documentary, short and animated films in Reggae Month, February 18, 2012. In keeping with the format initiated at the event’s February 2008 beginning, the 2012 Reggae Film Festival will showcase films in which aspects of Jamaica’s Reggae music culture are displayed, documented and memorialized in feature, documentary and short films, animation and music videos. The 2012 Festival will once again feature the Make A Film In 24 Hours competition sponsored by RBC Bank – Jamaica, that in 2011 saw 15 film crews competing to shoot a 5-minute film on a selected theme in just 24 hours for cash prizes and awards. Assisting the Jamaica Film Academy’s objective to increase and improve the output of Jamaican film making, the RBC Bank sponsorship of the annual Make A Film In 24 Hours competition has inspired and produced new Jamaican film making talent. The Festival has also discovered and supported the surprising wealth of Jamaican talent in digital animation. The acknowledged expertise and innovation of Jamaican music video makers exposing the talents of Jamaica’s powerful musical artists, provides another area highlighted by the Reggae Film Festival. A special Jamaica50 Programme will feature retrospective screenings of early Jamaican films, including the classic “The Harder They Come” that marked the start of an indigenous feature film industry, the award-winning documentary “Life and Debt” covering the politically turbulent 70’s, and the short films of cinematographer Chris Browne, director of “Ghetta Life”. In 2012 the Reggae Film Festival will introduce an International Programme of films outside the reggae genre, so as to enable the programme to include entries already received from Africa, the USA and the Middle East, including an entry from Iran. In five years the Reggae Film Festival has showcased more than 200 films highlighting reggae culture made by Jamaicans, global reggae researchers and fans from the Caribbean, UK, USA, Canada, Europe, Japan, and Africa. The focus of many documentaries on the history of Jamaican music and music makers, has given the Jamaica Film Academy an archive of historical material on the genre genre that preserves on film the oral memories of a culture that that emerged from the Rastafari movement and spread to and been honored by the world. Annual Awards are presented in several categories and and the international interest in the unique music and culture of Jamaica has given prize-winning films further international awards and distribution.